Your mission for the evening in Chiang Mai. 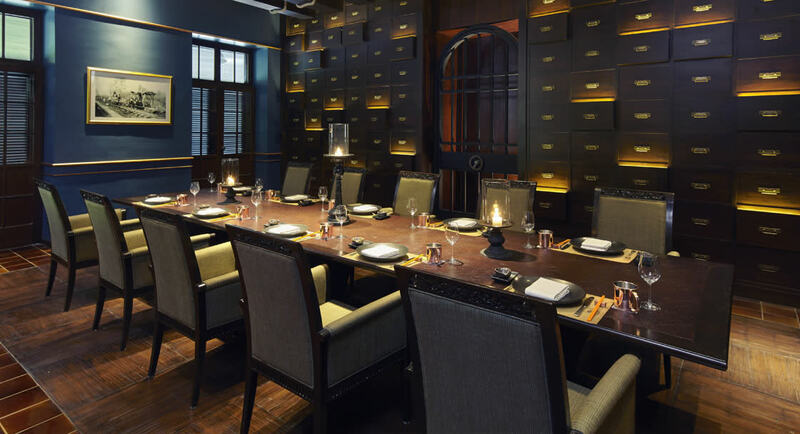 Reimagining the British Consulate era of our 100-year-old heritage house, The Service 1921 Restaurant & Bar conjures up an eccentric fantasy of the intelligence service. Stroll through salon dining rooms to reach a library wall. Open the secret bookshelf door to access the hidden private dining room. Here, contemporary Thai, Chinese and Vietnamese cuisines are served up with Wine Guru pairings. Retire to the whisky room for a fine single malt, or to the verandah to enjoy Cuban cigars. The Service 1921 Restaurant & Bar was honoured in the 2016 Asia Pacific Property Awards for its unique design concept. Interconnecting salons portray artful Old World drama. Vintage artefacts nestle amongst fictitious spy paraphernalia. Formerly the British Consulate and host to elegant riverfront soirees, explore the heritage house at your leisure.